Realised I hadn’t not share this wonderful news yet. Last year in October there was an event at the Rijksmuseum organised by VVAK (Vereniging van Vrienden der Aziatische Kunst). 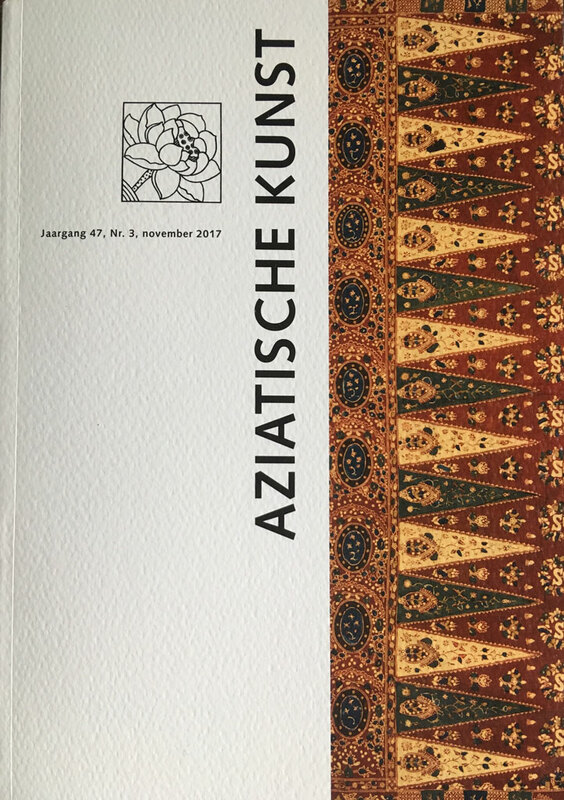 Collectors Jan Dees and René van der Star donated their collection of Southeast Asian textiles to the Rijks and a part of it is now on display in the Asian Pavilion. During the VVAK event Jan Dees shared stories about some of the textiles they donated. 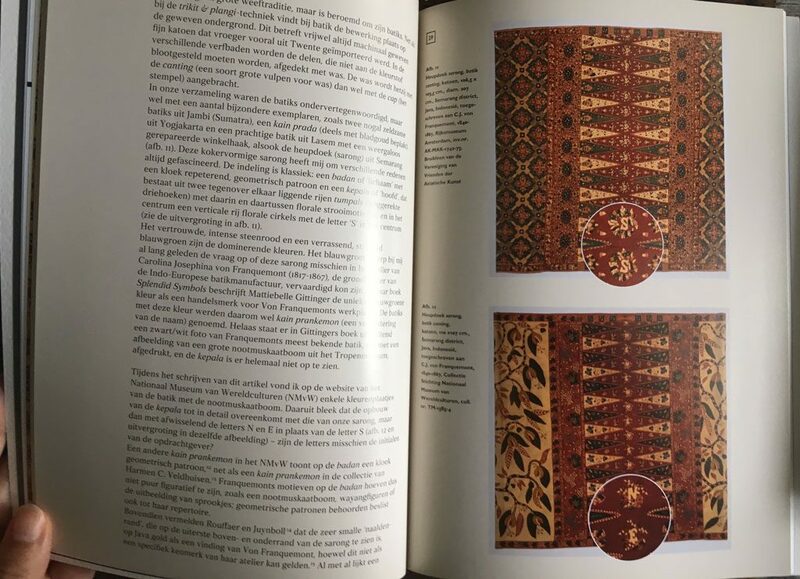 I was in contact with him by email before, because he has a Batik in the collection that was possible made by Carolina Jospehina von Franquemont (1817-1867). We exchange some thoughts on how her famous green must have looked liked and he asked me if he could add my findings to his article that he was writing for the VVAK magazine. 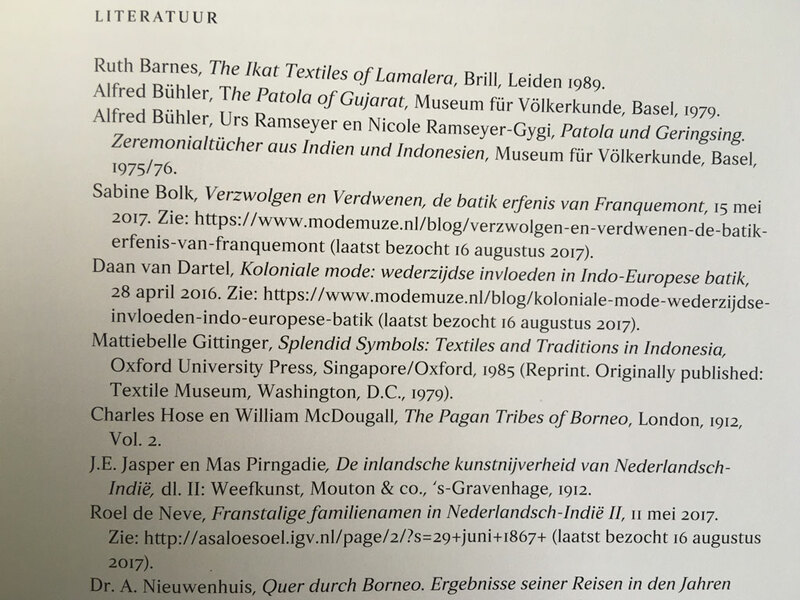 When he invited me for this event at the Rijks, I was so honoured to be mentioned during his talk and that due to my findings we should re-write history when it comes to the story about Carolina Jospehina von Franquemont death and therefor her batik-legacy! See the Instagram post below to hear his talk. In November 2017 the magazine of VVAK got published and Jan Dees kindly send me a copy. I was not only in the footnotes, also in the text and in the literature-list with my article on Von Franquemont that got published in May 2017 on Modemuze.nl. Still so happy! And yes, I’m working on finding out more about Carolina Jospehina von Franquemont batik-legacy! 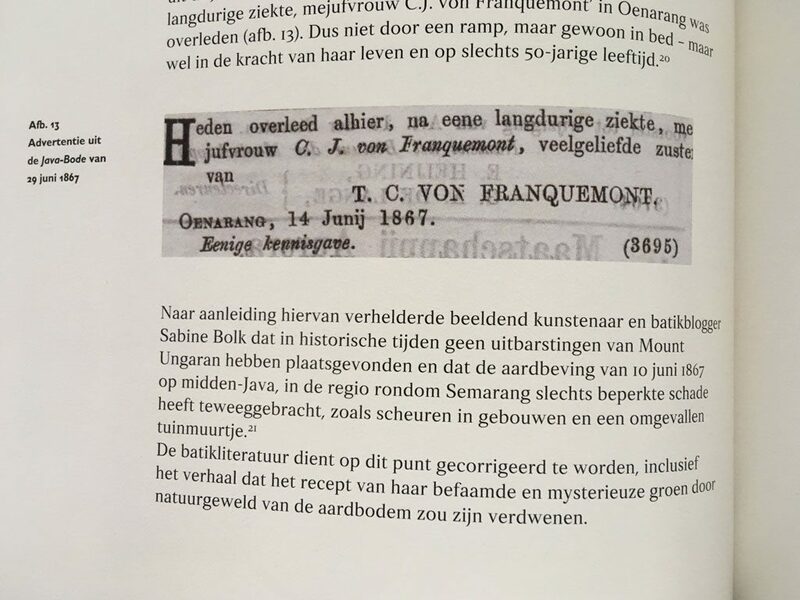 Read the article I wrote for Modemuze in Dutch here ‘Verzwolgen en verdwenen: de batik erfenis van Franquemont‘ & in English here ‘What happened to Von Franquemont‘.